Prickly Pear Seed Oil is derived from the seeds of the Barbary Fig Cactus. It takes over 1 million seeds and over 36 hours of manual labor to produce a single liter of oil. Thus, we're unfortunately not talking about the most inexpensive oil on the market. This stuff can get a little pricey. 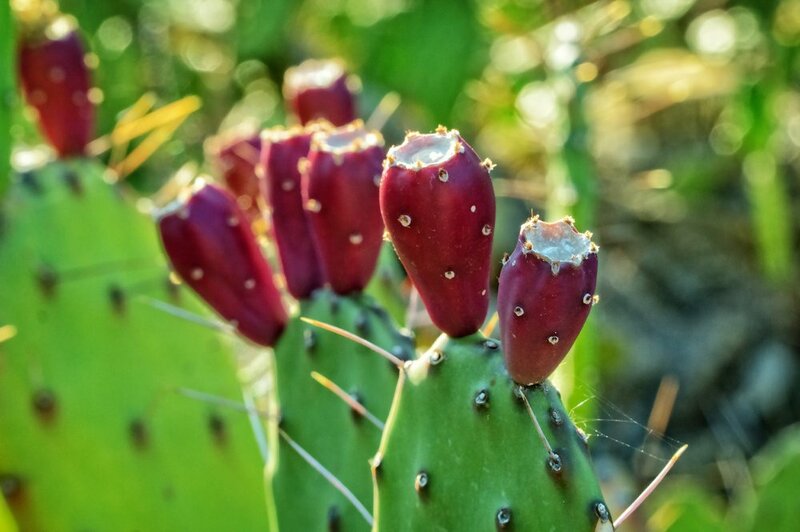 Now let's take a look at the many reasons Prickly Pear Seed oil (PPSO) is so ridiculously amazing for your skin, by breaking down the chemical composition of this plant oil. Prickly Pear Seed Oil has the highest concentration of unsaturated fatty acids of any plant oil, 88%! PPSO contains an upward of 60.5% Linoleic Acid, otherwise known as Omega 6. This fatty acid imparts anti-inflammatory moisture to the skin while promoting wound healing, including healing acne. Acneic skin produces less linoleic acid. Therefore, adding an oil topically that's high in linoleic acid will treat and prevent future breakouts. It imparts this healing moisture without being heavy, resulting in a velvety light finish on the skin. This is why PPSO is fantastic for all skin types, including oily acneic skin! PPSO contains 20% Oleic Acid, otherwise known as Omega 9. Oleic Acid adds moisture and richness to oils as well as anti-inflammatory benefits. This is why PPSO is so moisturizing without being heavy. PPSO contains 3.2% of Stearic Acid, a cleansing surfactant. Surfactants are substances that tend to reduce the surface tension of a liquid in which it is dissolved. This contributes to PPSO's cleansing properties. PPSO contains 13.9% Palmitic Acid, otherwise known as Omega 7. Palmitic Acid is a soothing emollient that our skin stops producing as we age. In aging skin, palmitic acid levels can decrease by as much as 56%. This contributes to PPSO's anti-aging and moisturizing properties. In addition to essential fatty acids, PPSO is loaded with with vitamins and minerals. Let's take a look at each of their benefits. Zinc is a powerful anti-inflammatory that aids in wound healing, from topical abrasions to acne, and contributes to defending the body from free radicals and protecting its collagen producing cells. These potent antioxidants prevent inflammation caused by free radical damage, enhance cellular regeneration, minimize UV damage and influence wound healing. Betalains are a group of powerful antioxidants found in dark red fruit like prickly pear, dragon fruit and beets. They assist the body in neutralizing toxins and supporting the cell's natural detoxification process. They also reduce the enzymes responsible for causing inflammation. How bout we all make a mental note to eat more of these three fruits, am I right?! The combination of these amazing chemical compounds is what makes Prickly Pear Seed Oil such a spectacular addition to your skincare routine, no matter what your skin type or what skin challenges you face. It hydrates dry skin and oily skin alike. It heals acne and helps prevent future breakouts. It soothes irritations and can calm and balance rosacea. It stimulates collagen production and restores elasticity for those seeking anti-aging benefits. It brightens both under eye darkness and hyper pigmentation, reducing discoloration in the skin. I honestly didn't think there was such a thing as a one-size-fits-all skincare product, but apparently I found it. The best thing about skincare is that there's always something new to learn or a new product to try. I love that, even after nearly a decade in the industry, I still get to learn new things... And then share them with you! Let me know what you think of PPSO when you try it out for yourself! PPSO would be a fantastic option for any gentleman looking for an aftershave/moisturizer. Because it's light weight, you'll never have to worry about greasy residue on the skin or looking too "shiny." It'll soothe any knicks from shaving, hydrate and calm any dry flaky patches and offer some anti-aging to boot. Feel free to use it on your face and in your beard for a simple no fuss addition to your skincare routine. Now that Prickly Pear Seed Oil's innumerable benefits have made you want to bathe in the stuff daily, here's a few PPSO products at a few different price points so you can at least bathe your face. 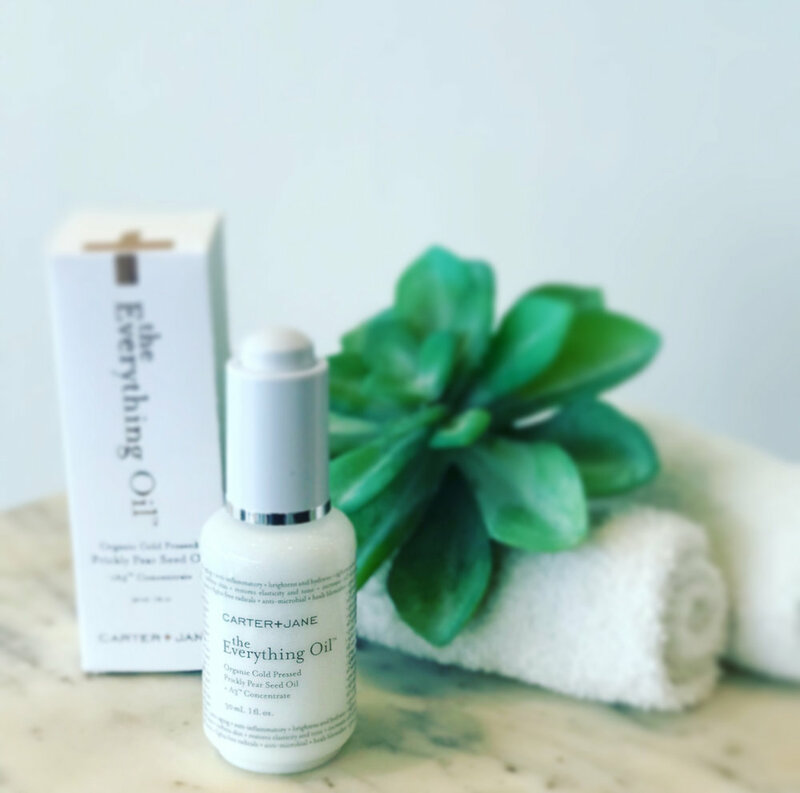 For those of you who are using or have used Vintner's Daughter Active Botanical Serum and are looking to try something similar, less expensive, and just plain better, The Everything Oil is for you. The results I've seen in my skin since using The Everything Oil are a hundred times more prevalent than any I saw with the former. 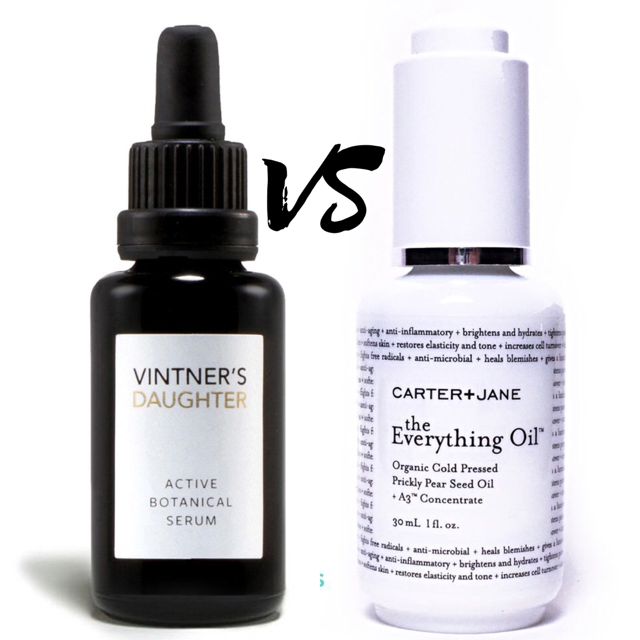 Vintner's Daughter offers a lovely serum but, at that price point, I'd love for it to have made half the difference Carter & Jane's oil has in my skin. Disclosure: This is not a sponsored post. However Carter & Jane, if you want to sponsor me I wouldn't put up a fight! This post does contain some affiliate links, meaning, at no additional cost to you, I will earn a commission if you click through and make a purchase.